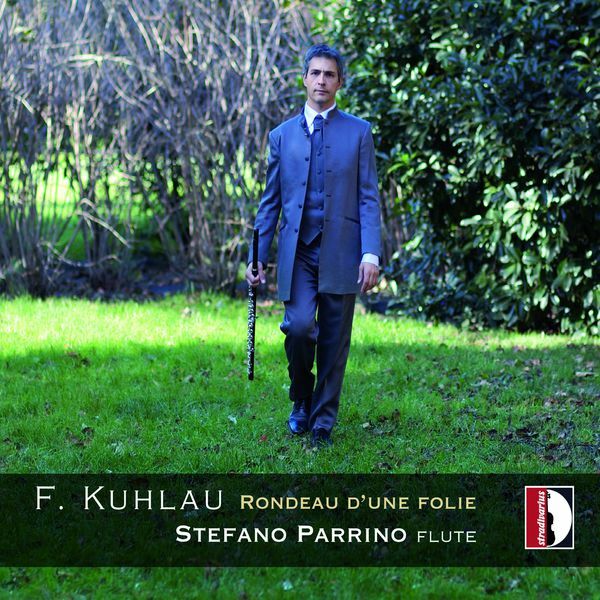 Friedrich Kuhlau – Rondeau D’Une Folie, Stefano Parrino – Flute. Known in his day as the “Beethoven of the flute”, both for his friendship with the great man and the quality — and quantity — of his flute compositions, Friedrich Kuhlau’s work has been a popular addition to the flute repertoire for many years. 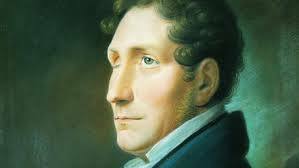 These have included sonatas — Kuhlau (1786-1832) was also known, in his day, as the “sultan of the classical sonatina” — as well as duos, and trios, but Kuhlau, although not himself a flutist, also wrote a number of works for solo flute which have been a little harder to find, at least in the form of recordings. 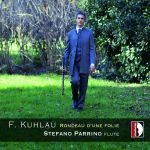 Award-winning Italian soloist Stefano Parrino has rectified that situation with this CD of Kuhlau’s less well-known solo flute music. 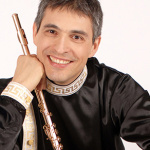 This has been something of a speciality for Parrino who has recently also recorded the solo flute music of Mercadante. It takes considerable courage to present entire recitals or recordings for solo flute, but Parrino has the technical resources to bring this off with great aplomb. 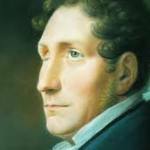 Alternately dazzling and sensitive, as the music demands, he presents this music in a way that belies Kuhlau’s reputation as a “secondary” composer. Kuhlau’s standing could be said to be a little uneven among performers and teachers. A Basic Library for Flautists list that was sent to Flute Journal for publication by Trevor Wye in England omits Kuhlau entirely. In other circles, however, he bears the reputation as “the most important composer of flute music of the early 19th century.” Dr. William Montgomery, another authority on flute repertoire, suggests that Kuhlau should not be overlooked, if only because his music is “so much fun to perform!” This perspective is persuasive and it is very evident from these performances. For this collection, Parrino draws primarily on Kuhlau’s Fantasies and Capricci for solo flute, opus 10 and opus 38, which includes variations on popular songs and ancient, largely anonymous airs, along with transcriptions of arias from operas by such composers as Pierre Solié, Giovanni Paisiello and W.M. Mozart (Zerlina’s aria from Don Giovanni). All of this is typical of early nineteenth century practice, making this CD valuable if it was simply a lesson in music history, presenting what was in demand in the concert halls and salons of the period across Europe generally, and specifically in Copenhagen, where Kuhlau took up residence after fleeing military conscription in his native Germany. All well and good, but, more to the point, there is pure pleasure in this music itself. Carefully researched and immaculately performed, what these pieces may lack in depth they make up for in brilliance and the shear joy of music-making, something that should never be overlooked when selecting repertoire. All flutists would do well to consider adding Kuhlau to their repertoire and they could not find a better starting point than this splendid and highly-recommended recording. 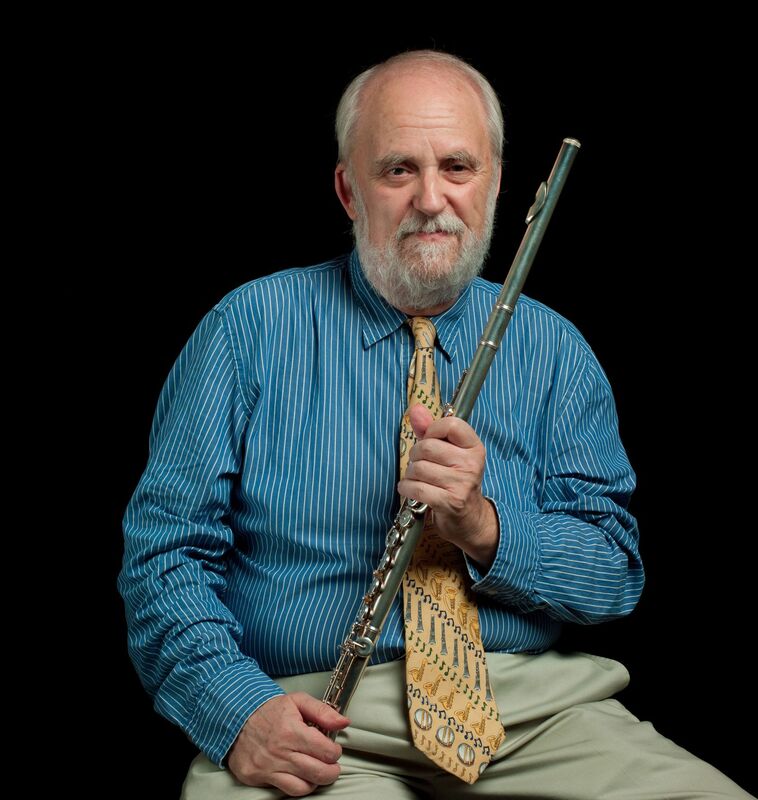 Dr. Peter Westbrook is Editor-in-Chief at www.flutejournal.com This review first appeared in Flutist Quarterly and is used by permission.